This week, the Wits Justice Project sat down with James A. Kirk, assistant professor of Social Work at the NYU Silver School of Social Work and Marlon Peterson, who runs the podcast Decarcerated. 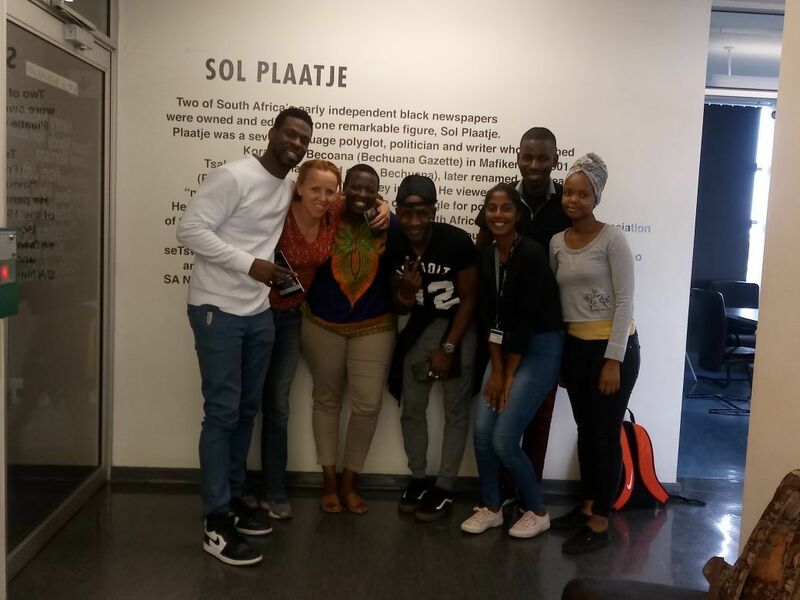 These criminal justice activists are visiting South Africa to speak at The Global Prison Conference at the University of Johannesburg on Friday. Dr. Kirk’s work focuses on the deconstruction of issues of mass incarceration in America. He also works with the Centre for Justice at Columbia University on the annual ‘Beyond the Bars’ conference, which WJP’s Ruth Hopkins attended last year. The conference sees people impacted by the prison system come together with academics, activists and policy makers from all over America to bring about a more informed understanding, and therefore action against, mass incarceration. Dr. Kirk has also set up the Mass Incarceration Conversation Series (MICS) at NYU which also aims to foster dialogue among key role players within mass incarceration so that a ‘holistic understanding’ of the phenomenon can inform policy changes. Peterson is the founder of a social justice consulting firm The Presidential Group. He is Ebony Magazine’s Top 100 most influential Americans and inspiring leaders in the Black community and an Aspen Ideas Festival Scholar and Fall 2016 TED Resident. Peterson spent much of his 20s in New York State prisons where he earned an Associate’s Degree in Criminal Justice with Honours. He also hosts the podcast series ‘Decarcerated’which highlights the journey of formally incarcerated people as well as their successes in life. In an in depth conversation with the WJP, Peterson and Kirk explored ideas of intersectionality of a diversity of issues in conversations about crime and prison. Kirk said that a social contextualisation of crime is important, because various economic, financial, social and psychological factors influence crime patterns and an individual’s pathway into crime. Both Kirk and Peterson aim to raise awareness of the plight of prisoners and the state of the criminal justice system through the stories of those directly affected. The power of the media plays an important role. Kirk: “The people closest to the problem are always closest to the solution. In many ways, until the voices of the people impacted by these issues are at the forefront of the media [there will not be change]”.